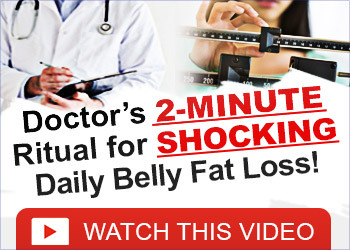 Are you looking to lose weight and get into shape? The truth is, losing weight is never easy. While a lot of weight loss diet’s and programs might lead you to believe it is simple, it requires a lot of willpower, dedication, and motivation. However, with a proper healthy diet plan to lose weight in place, you should be able to lose weight much more successfully.We will be going over some of the key tips to implement a healthy diet plan to lose weight. One of the major keys to losing weight successfully is cutting back on sugar consumption. Ideally, you want to cut back on both sugar and starches in order to lose as much weight as possible. These are the foods that secret insulin the most. Thus, it encourages fat storage rather than fat elimination. By avoiding these foods altogether, you should be able to increase your chances of losing weight successfully. This is especially true if you replace them with fully nutrient dense foods. The reduction of sugar consumption can have a significant impact on your ability to lose weight successfully. Regardless of what diet you choose to go with, you want to be sure that your diet is full of these three things. By increasing your intake of healthy fats, protein, and vegetables, you will be able to experience the kind of weight loss results that you are likely looking for. These nutrients are going to be much better to get into your diet because they can encourage the building of muscle, reduce your appetite which can keep you from mid-day hunger cravings, and more. By getting much more nutrient-dense foods into your diet, you should be able to achieve much better results with your weight loss efforts. While getting your diet in order is a start, you will need to exercise in order to achieve the kind of results that you are looking to achieve. Diet is great on its own, but you will need to incorporate a good amount of exercise in order to not only boost your results but to sustain them as well. Ideally, you should be incorporating a good amount of strength training into your routine in order to achieve the kind of weight loss results that you are likely looking to generate. By giving your body a break every now and then and allowing your body to enter a mode where it’s forced to utilize its own fat stores for energy, you should be able to prime your body to achieve the best possible weight loss. You can do this by intermittent fasting a couple of times per week by not eating dinner or by simply skipping breakfast a couple of times per week. By following these tips, you can boost your weight loss efforts significantly and enjoy a better quality of life.